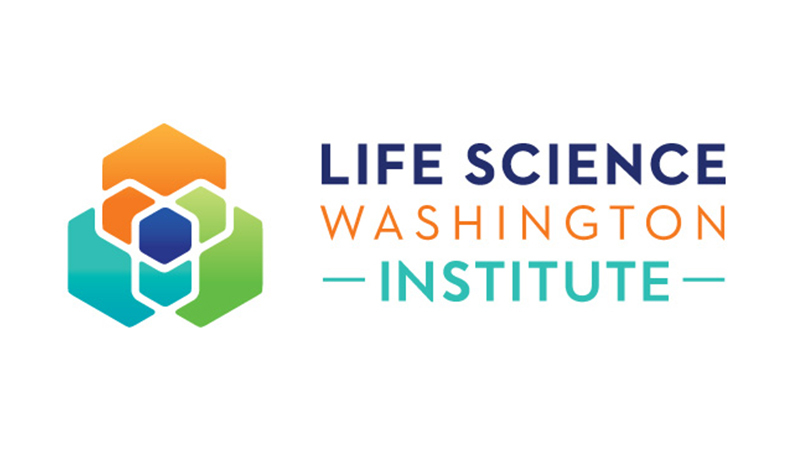 Life Science Washington (LSW) announced this fall that it will launch a new nonprofit arm called the Life Science Washington Institute in 2018. The Institute aims to fuel commercialization and startup growth for life science companies within Washington state, encompassing biopharmaceutical, medical device, digital health and health IT, global health and more. 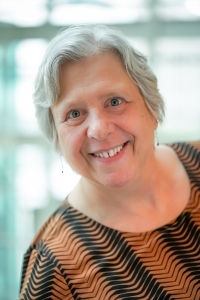 Dr. Patricia Beckmann, currently Vice President for Commercialization at Life Science Washington, will serve as executive director for the Institute. Dr. Beckmann gives a behind-the-scenes look at the Institute and the future of commercialization in Washington state. What is the Life Science Washington Institute? The Life Science Washington Institute is a non-profit institution (501(c)(3) status pending) aiming to fuel commercialization and startup growth for life science companies, including biopharmaceutical, medical device, digital health and health IT, global health and others, within Washington state. Building upon Life Science Washington’s existing commercialization services, the Institute will offer business mentoring, SBIR/STTR grant assistance, health economics workshops and entrepreneurship education. How did Life Science Washington determine it needed a nonprofit? Life Science Washington has established a terrific legacy of commercialization work statewide through our programs like the WIN Mentoring Program, Venture Investment & Partnering (VIP) Forums, STTR/SBIR workshops, consultations, and our partnership with WINGS, The Medical Technology Angels. In April 2016, LSW was able to expand its scope of work significantly through a two-year grant from the state-run Life Sciences Discovery Fund (LSDF). The grant supports the development of programs to help entrepreneurs and support the long-term, sustainable growth of the life sciences ecosystem in Washington state through successful company creation. Funding through the grant allowed LSW to bring on several new staff members who work statewide to provide critical services and resources to young life science companies. But the nature of grants is that they are finite. Given that our LSDF funding ends in 2018, it was evident that we would need to find long-term funding to sustain and grow our work. On the state-level, public investment in our life science industry has shrunk dramatically over the last decade. We know that it will be up to us to create our own financial mechanism for success. As a 501(c)(3) non-profit organization, the Life Science Washington Institute will be eligible to compete for diverse public and private funding to support its educational programming, including funding not traditionally available to non-profit trade associations. Many other state associations in states with booming life science industries, including California, Illinois and Massachusetts, have pursued this model. Other Washington industry voices like the Washington Technology Industry Association and the Association of Washington Business have also found success with this approach. What sort of programming can we expect from the Institute? We are thrilled to bring some of our most successful commercialization programs under the Institute umbrella next year. Since 2014, the 23 graduate life science companies of our WIN Mentoring Program have raised more than $70 million thanks to the work of 50 volunteer mentors and their outstanding connections. In 2016, we admitted 11 new companies to the program, including three from Eastern Washington. Our many workshops and seminars focused on SBIR/STTR grant funding, health economics, and law remain popular with more than 200 individual participants statewide last year. We are committed to providing these service to our startup community in 2018 and beyond. We are also very excited about two of our newest offerings, the Life Science Startup Playbook and our online Marketplace. We created three comprehensive Life Science Startup Playbooks– for biopharma, digital health and medical devices. These Playbooks have been a huge success and have made their way as far as Singapore for use. We don’t anticipate the Playbooks being used alone, but rather in combination with our one-on-one consulting, Startup Bootcamps and seminars. The guidebook is a starting point for the entrepreneur to understand the processes needed to get products to market in our highly regulated environment, and includes a collection of flow-charts, best practices and templates meant to guide new entrepreneurs. The new Institute website will also offer a digital version of the popular guidebooks. We will also offer an online Marketplace, a ‘one-stop-shop’ for commercialization resources in Washington state as well as a virtual front door for organizations from outside our region (e.g., investors) to access innovation. The platform will curate and organize the broad spectrum of assets and services, available to entrepreneurs, and make it easy for innovators to make connections to commercialize technology. More simply put, it’s an “Angie’s List” for services in our region like lab space, lawyers, accountants, firms and more. In January, the Institute will be hosting the first annual Washington State Life Science Entrepreneur Summit. Co-sponsored by the Kauffman Foundation, the Summit aims to bring together life science ecosystem builders throughout our region. The goals of the meeting are to assess our ecosystem, ascertain barriers to entry and growth, discover ways to break down existing silos which impede success, and collaborate to build a vision of our ideal ecosystem for the entire region. If you are interested in participating in or sponsoring the event, please reach out to me. In addition, we are actively engaged in the Freedom from Cancer Startup Challenge. Sponsored by The Center for Advancing Innovation, the Challenge aims to create 100 Startups across the county to drive innovation in cancer prognostics, vaccine, diagnostics, therapeutics and devices. In Washington, participants have access to our support and mentor network and winners of the Challenge can win cash prizes for their startup company. The Institute’s programs remain an important part of the Life Science Washington operation. We want to create a seamless experience of LSW members and our life science community at large. We will continue to work closely with our Life Science Washington colleagues to provide an important commercialization focus at signature events like Life Science Innovation Northwest and the Washington State Life Science Summit. How will the Institute be governed? As a 501(c)(3) the Institute will operate independently with its own board of directors. We are thrilled to welcome current Life Science Washington board members Marty Simonetti, Margaret McCormick, Steve Graham and Tom Clement as Institute board members. Three independent (non-LSW) members will also be appointed to the board in the coming months. What sort of funding has the Institute secured? We are actively pursuing diverse funding sources from public and private institutions. Just last month the U.S. Small Business Administration (SBA) named our WIN Mentoring Program one of 20 national recipients for the 4th Annual SBA Growth Accelerator Fund Competition for the second year in a row! The $50,000 prize ensures WINs continuance in the coming year and demonstrates the value of public investment through a detailed report of metrics and outcomes. Our long-term plan is to establish an endowment for early-stage investment in life science start-ups. Our plans are in the development stage and we will share more about our funding concepts later in the month. How can larger, more established companies benefit from the Institute activities? The Institute is not just for entrepreneurs and early companies. Large, established companies can greatly benefit from the Institute programming and services. Investment in startups often gives large companies the opportunity to pursue, higher-risk, but high-return research in innovative areas. For instance, a large drug maker may want to improve manufacturing or dosing of existing patented drugs. But the company may not want to create a whole new department to try to identify cell therapies or vaccines for use when their patented drug has efficacy. Instead they may find value in mentoring and investing in early-stage companies that are positioned to do this work in a pilot project capacity. Additionally, building a strong ecosystem for young companies in our state creates a valuable training ground for scientists, technicians and engineers who may later seek employment at larger companies. How else can member companies get involved with the Institute? We are always seeking volunteers to take part in our programs. Mentors participate in our new company screenings, and volunteer to mentor one or two companies, if they wish. Additionally, we are seeking members for our screening committee for WINGS to help us source the best MedTech opportunities for angel investors. Or for those who have an interest in becoming angels themselves, we would be happy to have you join us! I speak for all my colleagues when I say we are delighted by the enthusiastic response we’ve received since announcing the Institute at the Washington State Life Science Summit in October. Your passion and commitment are vital parts of our own success and the success of our life science community statewide.